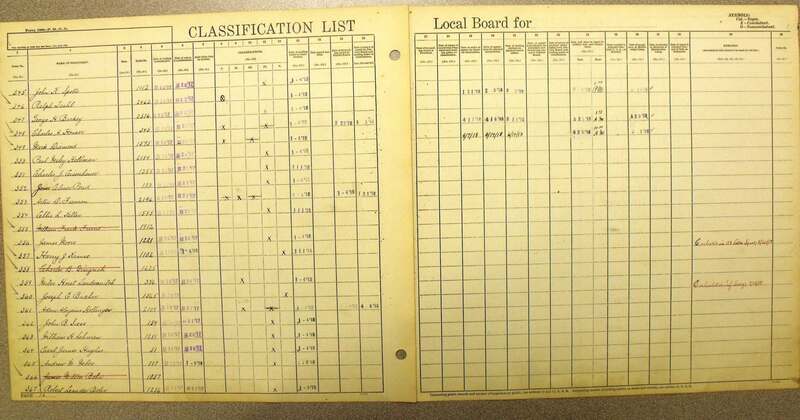 and how to dig deeper into other records of the Selective Service System whose office was responsible for the registering of all the men during both wars. This is Part 1, examing WWI draft registrations. Michael has the answers for us. Attention, March! When the United States entered the war on April 6, 1917 we were totally unprepared to wage a global war. The Selective Service Act of 1917 (40 Stat. 76) passed by Congress on May 18, 1917 authorized the President of the United States to increase the armed forces through conscription. The Act directed the Provost Marshal General Office (P.M.G.O.) to select men eligible for military service. All men between the ages of 18 and 45 were required to register regardless of citizenship status or other factors. The 1st draft registration was dated June 5, 1917, for men aged 21 to 31. On July 20, 1917, 10,500 numbers were drawn by Secretary of War Newton Baker. The 2nd draft registration was dated June 5, 1918, for men who had turned 21 since the previous registration and included a supplemental registration on August 24, 1918. It was for men turning 21 after June 5, 1918. On June 27, 1918, 1200 numbers were drawn by the Secretary of War. The 3rd draft registration was dated September 12, 1918. It was intended for all men aged 18 to 45 years. On October 1, 1918, 17,500 numbers were drawn by the Secretary of War. On the corners of each registration card are stamped or written a series of numbers; on the left is the serial number that was assigned as soon as they registered. It could also be the number that the registrant was in line the day the cards were filled out. After each registration was complete at the local boards, the headquarters of the Selective Service in Washington DC placed each of the serial numbers into a container. On July 20, 1917, Secretary of War Newton Baker drew the first of 10,500 numbers from a bowl for the 1st registration. The first number drawn was No. 258 for which every person who registered was given an order number of 1. This was repeated until each serial number has an order number. 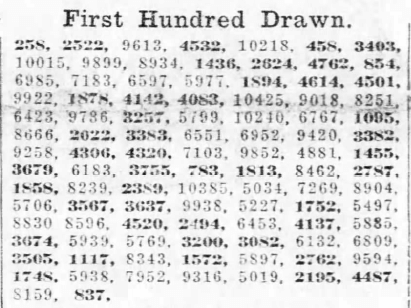 The image below shows the order of the numbers drawn from the 1st Registration as was published in the Pittsburgh Post on July 21, 1917. On the back of the registration cards was stamped another series of numbers followed by a letter designation. 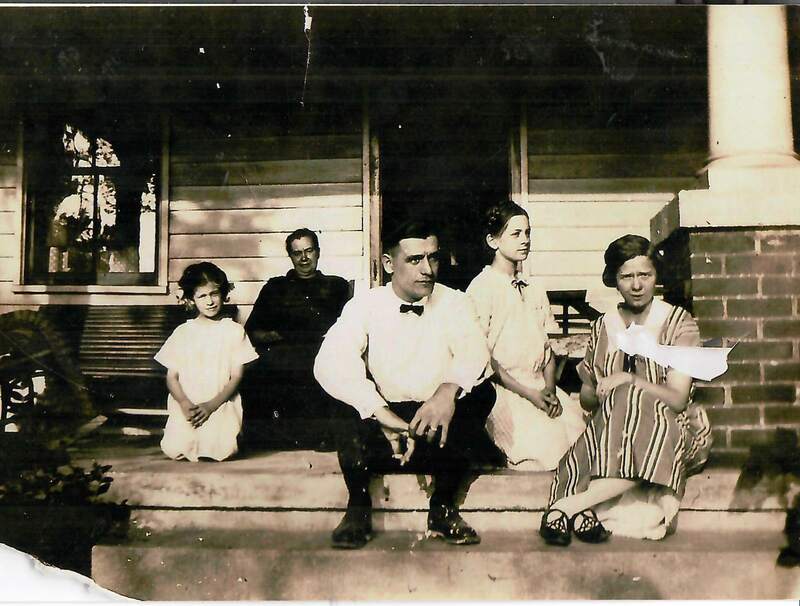 Example below: Ellis L. Keller who resided at 340 N. Partridge Avenue in Lebanon, Pennsylvania. 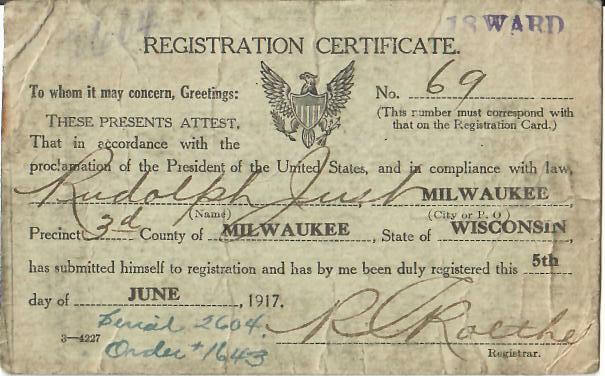 For the above example of Ellis L. Keller, his draft registration was part of the 1st Registration. Once your ancestors registered they needed to be classified and assigned a draft status, which is found on the draft classification lists. These records haven’t been digitized and are only available onsite at the National Archives branch located in Morrow, Georgia. This branch is located in the suburbs of Atlanta. The records for World War I and the Selective Service are found in Record Group 163 at the National Archives. The Archives allows for email inquiries and for a modest fee they will copy the classification history of any ancestors you request. 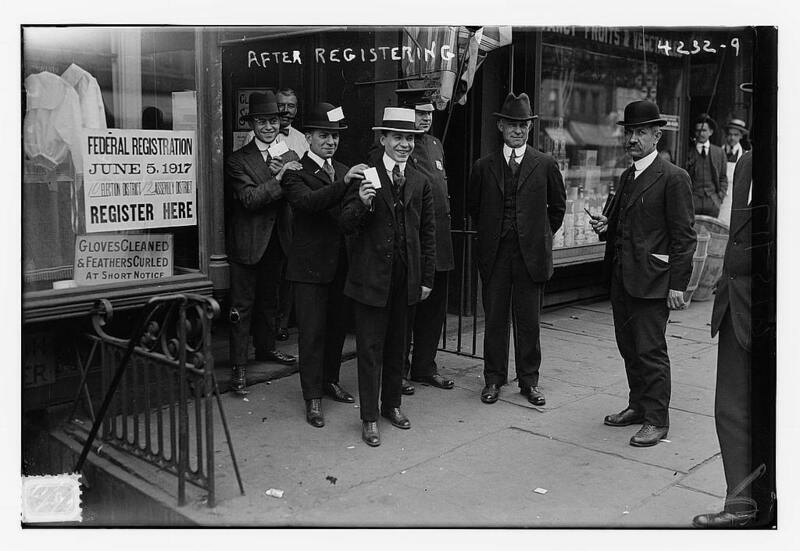 To learn more about the regulations governing the Selective Service Act, click here to view the complete regulations for World War I at the Hunter College, part of the City University of New York (CUNY). It includes the complete listing of classifications and all of the forms filled out by the registrants. The following link goes directly to their collection of records. 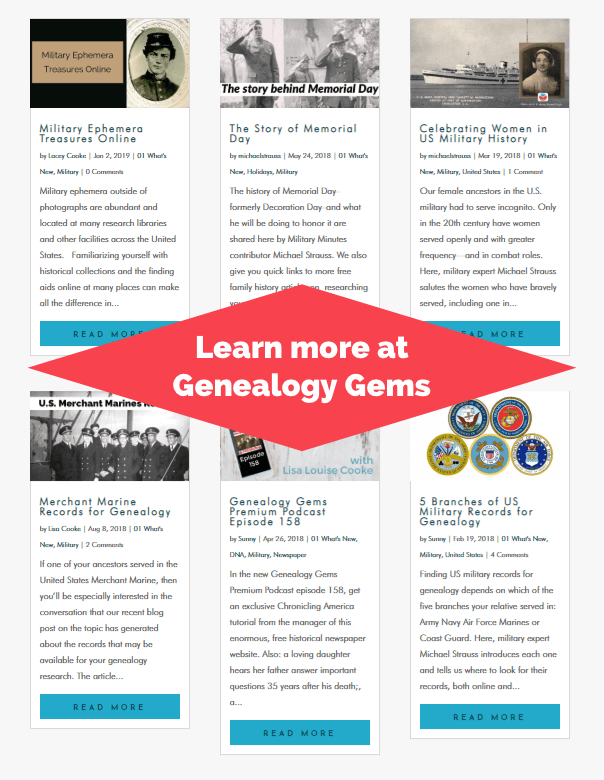 As you can see there are a number of wonderful resources you can use to learn more about your ancestors during the World War I period. In addition to onsite and online resources already mentioned, it is possible that you may have relevant papers in your own personal family collection. These can include the registration card that was given to your ancestor proving that he had registered for the draft. For a complete listing of all of the classifications for World War I through World War II and including post-war service for the Vietnam and Korean warm, contact the college at Swarthmore University in Pennsylvania. They have recorded each of the listings along with explanations. Once this is done, contact the Archives in College Park, MD to obtain other Selective Service records. All records are part of Records Group 147. 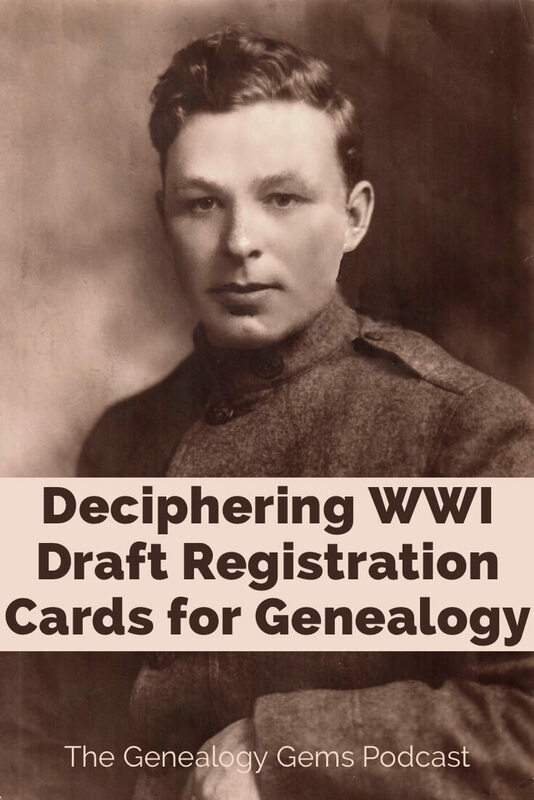 Move forward in time from the Great War to World War II with Michael’s article Deciphering Draft Registration Cards for Genealogy: World War II. Then, click the image on the right to head to our comprehensive collection of articles on military history. Thank you! What a great article. I have always wondered about all the different numbers I would see, but did not know how to go about looking anything up on them. Now I do. Thanks! Easy to follow article – and to the point. Provided enough information to address questions about data on copies of cards I have collected and provided further links for additional sources. Thank you.